Having a website or blog? That’s great! Being on the online platform, you have taken the right step forward. However, that’s only the starting point. As a matter of fact, the success parameter for any website or blog is determined by its monetizing capacity. So, you have to adopt methods and techniques which help you to make money from your blog or website. In this context, online marketing techniques have an important role. It offers various innovative advertising options which allow you to monetize your site easily. One such innovative ad platform comes in the form of Infolinks. Here, I will focus on how Infolinks can turn out to be a great source for making money for your website or blog. I have put together a detailed information on Infolinks which will help you to know this ad platform in a better way.But, before I move any further on this wonderful journey of Infolinks, let’s take a quick insight about some remarkable facts concerning Infolinks. The Infolinks online ad platform is one of the major drivers of revenue for websites over the World Wide Web. Its ad solutions are driving revenue for over 125,000 websites in almost 128 countries worldwide.Its powerful database analyses 2 Trillion keywords to display 15 billion ad solutions on a monthly basis. Moreover, Infolinks comes as a free online advertising platform and provides site owners an opportunity to monetize their unused ad space through its unique and innovative ad solutions. Infolinks has been designed to function as an in-text advertising network. 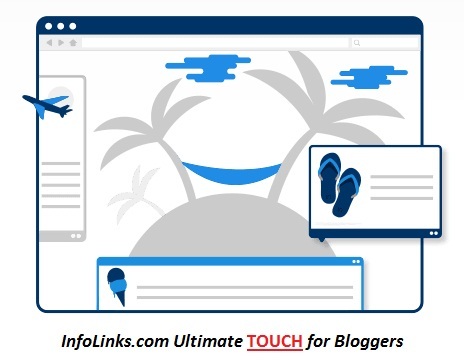 It has earned the reputation of being one of the largest and most trusted blog monetization programs over the Internet.As an Advertising Network, Infolinks offers a multitude of benefits to bloggers and website owners. However, in my opinion, the biggest of them all is the fact that is can be used with all of your current ad solutions, even with Google AdSense.It works perfectly well with Google AdSense and can even prove a suitable alternative to Google AdSense.So, using Infolinks does not mean that you have to shun any of your current ad solutions.Moreover, if you are concerned about your user’s engagement, let me tell you that Infolinks Ad Platform analyzes interests of each and every visitor to your site (blog) serving him best possible ad solutions and thereby enhancing their overall user experience.And perhaps, this is the reason why Infolinks Ad Platform has become so popular with bloggers and website owners all over the world. As I have said earlier, Infolinks offers a multitude of benefits and so it is. Here, I feel the need to mention, one of the major highlights of Infolinks and it is a fact that it is easy to set up.Once it is set up, Infolinks automatically starts serving ads on your website or blog and thus paves the path for you to making big money.Having said this, you need to ensure that you constantly get good traffic of visitors, particularly from countries such as the U.S. and the U.K. but Infolinks is not limited to US or UK, it serves ads for visitors from any part of the world.There’s another highlight about Infolinks that will surely make you go upbeat, and that is, it can be easily integrated. From its options panel, you can easily configure options such as ad color, the number of ads you want, as well as many other options. However, some may find their control panel a bit outdated, but with latest website update it is much better than before. It provides iOS app and Android app through which you can easily gauge the performance of your account by using your mobile phone.They also go on to offer Infolinks Affiliate Program which can help you earn through affiliate referrals. Here, it would be appropriate to mention that they still need to work to incorporate a comprehensive monitoring system for affiliate referrals. One of the most excellent things about Infolinks is the fact that it does not annoy visitors through Ads. Another notable aspect about Infolinks is that it does not consume your website space.The Infolinks Ads are directly inserted in the text. It uses keywords from the content of your website or blog and serves relevant ads matching visitors’ interests.There is no substantial difference between Infolinks In-Text Ads and a normal link. So, visitors click on these Infolinks Ads resulting in a lot of money for the publishers. It is a contextual network which targets your content for displaying ads. Advertisers bid for keywords for displaying their ads. The publisher’s blog or website is scanned, and ads are displayed for that keyword. When the ads are clicked by the users, publishers make money. The ads are shown according to the content of the site or the keywords used by the visitors before visiting publisher’s site. Why is Infolinks a good choice? The approval process is simple, easy and quick. Rather than serving Banner Ads, Infolinks offer In-Text Ads which is a good option for overcoming banner blindness. Provides lots of customization options.  It offers numerous ad units such as In-Text, In-Frame, In-Tag, In-Fold, etc. Has a low payout threshold when compared with other platforms. It can be used with other Ad Networks. No restrictions on placing the ads. Requires no extra spaces for showing up the ads. Provides efficient 24×7 customer support. Although Google Adsense is the largest and the most popular Ad Network, Infolinks has its advantages. Moreover, you can use Infolinks together with Google Adsense.Google AdSense ads are displayed as text ads or banner ads, but Infolinks is an In-Text ad network, so there is no comparison between AdSense and Infolinks.First of all, Infolinks is free to use. There are no registration fees, no hidden charges, and no minimum requirement of page views. So, site owners can join Infolinks free of charge.Secondly, it’s simple to set up and manage. It allows you to create your theme so that the ads fit your site’s layout. It can be customized using the publisher dashboard. Thirdly, Infolinks Ads work well with all devices, sites, platforms and other ad networks. Lastly, the approval process is easy as there is no minimum traffic requirement.Moreover, the approval rate is fairly decent when compared to Google Adsense. Infolinks is among those advertising networks which translate their promises into actions whether it is related to payment or any other service.They are punctual in releasing payments and pay within the stated payout period. Their minimum payout is $50 and provides payment options like PayPal, eCheck, Bank wire transfer, Western Union, etc.It is a legitimate In-text Advertising Program available to you. In fact, with its multiple benefits, Infolinks can turn out to be the biggest contributor to your total online earnings. Now, let us dwell and check out how Infolinks advertising works to make you rich through your website or blog. Its advertising products suite is specifically designed to enhance user engagement and serve their varied interests and intent by delivering relevant ads.Its wide variety of advertising solutions provides products that range from power-packed contextual ads to display ads.Some of its major advertising products include In-fold ads, In-text ads, In-frame ads, In-tag ads and In-Screen Ads. All of these products present visitors (readers) with relevant and perfectly timed advertising solutions.Here, let me give a brief description of its various products. In-fold ads: The In-fold ads are presented in a unique location right above the fold. These ads utilize the power of search and display and deliver ads on a wider scale of traffic. In-Screen Ads: The In-Screen Ads which are also referred as interstitial ads are presented between page views and function as “ad intermission.” These ads are perfectly timed and are driven by user intent and website content. In-text ads: The In-text ads are highly efficient and discrete ad units. These ads are neatly showcased within a page’s text. It delivers relevant ads by scanning a page’s content (text) in real time. In-tag ads: The In-tag ads present most valuable keywords related to the content of your website or blog in highly customizable ad units. In-frame ads: The In-frame ads present attractive display banners with relevant and well-timed ads. These ads utilize the unused real estate on wide screens. As we found that Infolinks provide a formidable set of smart products range delivering well-timed and relevant advertising solutions according to user intent and matching the content of your website or blog.